By continually investing in our business, we have created a well equipped shop floor with machine hubs and inspection equipment to manufacture a broad range of quality components to specific requirements. 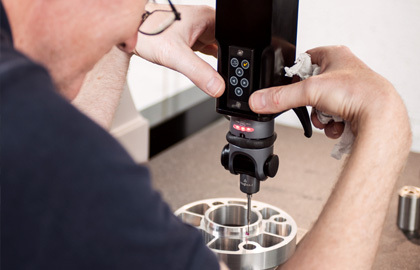 With CAD CAM capability as well as a trusted network of subcontract partners for processes such as heat treatment, plating, grinding and Edm we offer a complete precision engineering service for low or high volume work. We offer 3 & 4 axis milling and 3D surface machining, off line programming using the latest CAM software for all types of work from one offs to large production runs. 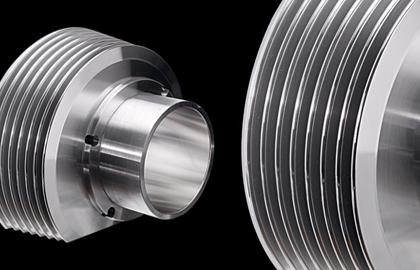 The capacity of our machines are 1mtr x 500 x 500mm and we are able to work to tolerances of +/- 0.01mm (10 microns). We undertake milling in all materials, including Titanium and Inconel. 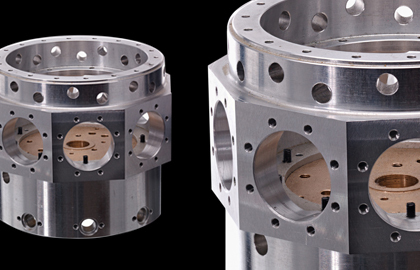 We undertake work for all types of CNC Turning – everything from prototypes through to high volume production – using the latest technology on highly efficient machines. Our turning capacity is up to 400mm diameter and 1200mm long. We are able to work to tolerances of +/- 0.01mm. We undertake turning in all materials, including Titanium and Inconel. We are able to machine a wide range of materials including aluminium, stainless steel, titanium, plastics and a range of exotic materials. We keep an extensive in-house stock which enables us to respond quickly to specific customers needs. Our materials are all fully certified and traceable. We place great importance on the quality of parts we produce. Aside from investing in the latest measuring equipment, we have a full time inspector to maintain the level of quality our customers deserve. All measuring equipment is maintained and calibrated regularly to ensure total accuracy. If required, we can produce full inspection reports and conformity certificates. Our engineers are all familiar with our latest CAM software. We have recently updated our systems to aid the programming of our machines and improve our manufacturing processes. Whilst the majority of our work is undertaken and developed with original CAD CAM files, we can also generate 2D and 3D drawings from hand sketches or work with you to match to specific engineered components. Our inspection team also use CAD drawings as part of our quality control procedures. Customer orders are booked into an in-house workflow system which allows us to see and track our current job list and advising customers on lead times. Where possible we can redirect jobs to different machines to improve delivery dates if your job is urgent. Once a job is in production, we track its progress and provide customers with regular updates.